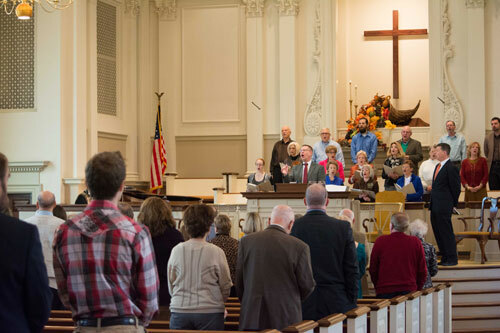 Our Sanctuary Choir is a group of faithful singers who enjoy sharing their musical gifts in worship leadership each week. Rehearsals are on Wednesdays, 7:10 – 8:30 pm, in the music suite and are active times of learning, inspiration, and fun. If you are interested in singing in Sanctuary Choir, contact Randy LeBlanc, Minister of Worship and Music. The Worship Design Team at FBC is a creative group of church members who assist our ministerial staff in worship planning. At FBC Cornelia, we offer our praise to God in many ways including music, drama, dance, scripture readings, prayers, visual displays, sermons, and even fellowship. Our church traditionally engages in special worship services during the year including Ash Wednesday, Maundy Thursday, and Hanging of the Green. Lent and Advent bring opportunities for focused seasons of worship in fresh and creative ways.